Epic: The barrier between Xbox and PlayStation "will inevitably come down"
Fortnite is one of a number of products establishing a new model for the games industry, according to Epic CEO Tim Sweeney, one in which barriers between platforms will no longer exist. Speaking at Epic's customary State of Unreal session at GDC today, Sweeney described the boom in mobile games over the past ten years as one of the most exciting things to happen to the games industry. However, what was once an exciting new market has changed over time. "For a while, this mobile industry has been stagnating," he said. "There are over 100,000 games released every year on the app stores. A lot of them are ad-driven games, a lot of them have sketchy monetisation models. The industry has really been in need of revitalisation." However, a new trend has been playing out in Asian markets, one that challenges the assumption that the mobile market is dominated by casual games. Speaking to GamesIndustry.biz in a meeting before the State of Unreal session, Sweeney described the trend as, "the most exciting thing for [Epic] in the industry right now." "We're seeing the movement of mobile games away from being primarily casual based, to being primarily real games for gamers," Sweeney said. "This has happened in Korea and in China over the last couple of years, with games like Lineage II: Revolution, an open-world MMO for mobile devices. And now, in a lot of the world, these real games for gamers are number one in revenue, number one in playtime, and they're really changing the shape of the games industry." "These real games for gamers are number one in revenue, number one in playtime, and they're really changing the shape of the games industry"
Epic believes that the same process is starting to happen in markets like the US and Europe, thanks in no small part to refinements and improvements made to the Unreal Engine. During State of Unreal, Studio Wildcard's co-founders Doug Kennedy and Jesse Rapczak came onstage to talk about Ark: Survival Evolved on mobile, and announced that it was being ported for Nintendo Switch. Sweeney also mentioned the mobile version of PlayerUnknown's Battlegrounds, which was first announced in November last year. Another example is, of course, Epic's own Fortnite, which Sweeney believes is "unique" even within the context of the larger trend; principally because the work Epic has done to make it possible will benefit anyone that uses the Unreal Engine. "So that they can do the same thing," Sweeney adds. "And that is build one unified game that runs on all platforms, that is the same experience everywhere, and is a social experience that you can play with friends across all of the different platforms. "What we have is this one engine that's supporting AAA production values and game sizes and content bases that runs everywhere. This is going to be a great setup for the games industry, because it means that now you don't have a divide between casual mobile games and high-end PC and console games." Mobile has remained a casual-dominated platform partly because of the technical challenges involved in making content that will satisfy more traditional gamers - and convince them to spend money in the way they so readily do on console and PC. Sweeney emphasises that Fortnite for mobile is the full game, with the same 8km square map now as accessible on a smartphone as it has been on PC and console. "It's been an enormous amount of work," Sweeney says. "But the good thing is that everyone that builds Unreal games will have all of these features available to them." 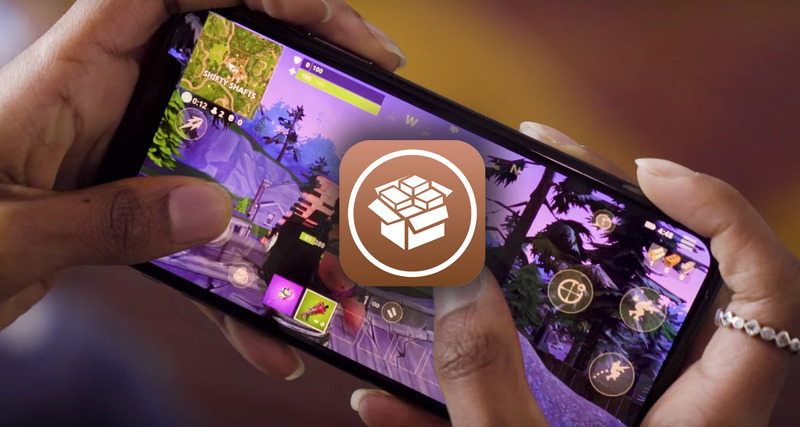 The Android version of Fortnite has yet to be released, but when it does Epic's new template for making and releasing games will be established; the product that runs on every major platform, with the same shared experience at its core. According to Sweeney, this will be an essential aspect of how the games industry continues to grow in the years ahead. "The audience is everyone," he says. "Who do you know who doesn't have access to a computing device - iOS, Android, PlayStation, Xbox, PC, Mac? Very few people in the developed world. The audience is everyone, and that's a huge opportunity for the gaming platforms. "Kids in school have their friends, and do you expect this platform schism to divide them into two separate groups that can't play together? No"
"I can't imagine anything better for console industry growth than having this new generation of kids, growing up with hand-me-down Android and iOS devices and learning to play games there, getting into Fortnite and having a fun experience [on mobile] but wanting to play on their TV with more precise controls and better visual experience, and feeling the next generation of upgrades to PlayStations and Xboxes." Of course, the idea of PlayStation and Xbox owners playing together is topical, with Fortnite just one in a growing number of games that cannot be played across both platforms - with Microsoft a much more vocal advocate of the need for cross-play than Sony. For his part, Sweeney is an advocate for open platforms in general, but he is careful to point out the unprecedented nature of Fortnite being fully interoperable across as mobile, PC, Mac and console. "If you buy a Fortnite item in the iOS store, Sony and Microsoft honour it in their stores," he says. "That's a great breakthrough for the industry." However, the current stalemate will not last for much longer. In Sweeney's view, the dissolution of all barriers between gaming platforms will be "one of the best things to ever happen to the console industry." In the State of Unreal session, he referred to Metcalfe's Law, which states that the value of any connected experience for a given user is directly proportional to the number of people they can connect to in the real world. In simple terms, Sony allowing PlayStation users to play with Xbox users is "the next logical step", and one that will yield benefits for everybody. "I think it's inevitable now," he says. "Games have become social experiences in the same way that Facebook or Twitter have, and these experiences only really make sense if gamers can communicate with all of their friends. "For Sony and Microsoft to support their customers well they have to be open to all their customer's friends - their real world friends - otherwise they're breaking up real-world social groups. Like kids in school have their friends, and do you expect this platform schism to divide them into two separate groups that can't play together? No. It's got to come together now.